TriMatrix is the code that makes what we are- the body, the mind, the spirit. It holds the code that sings to each other - a communication at a level that is divine. TriMatrix Healing Technique™ is a special technique developed by Satjit which helps tune the divine code into a harmonic flow which leads to a profound balancing process of the mind, body and spirit. It is unique as it goes to the level of code that we all are made of, the true and pure essence. There is no time like now. And there is no better time for the powerful positive change to take place but in the now of our linear time. The two days of insights and life changing decisions will lead to a path that will create a new begining towards a positive begining. But, remember, the time is now to take that first step to decide if you what that change. To book your place, click here. The seminar involves the use of divine knowledge which -guides the mind to understand the “code”, physical exercises and meditations, all designed and directed by the Inner Universe of the most pure consciousness. TriMatrix Healing™ Technique seminar is split into group programme and individual programme. It is held throughout the year at various locations in the U.K, Bulgaria and in Greece. In a world surrounding us with spiritual teachers Satjit is one of its kind, at least from those I have met yet. Satjit is a divine balance between being humble, but powerful, grounded, but strongly spiritually connected, compassionate but frank enough. He is such a clean channel for the divine energy where in his field I have experienced my most memorable meditation so far. His open-hearted nature is always there for you to help, to advise, to listen, to care, to cure. Satjit is simply a blessing for all of us! I can’t explain in words how grateful I am, that I have met you and you took me in that beautiful journey to discover myself, who I’m really are and what my true desires are. I have a feeling I have woke up from the coma and now I’m starting live the life I always want to. I would like to thank you for your wisdom, for your amazing pure energy you have shared with me. I am really happy with the Trimatrix Healing™ Sessions. It has truly changed my life and the way I look at things. I know that by continiuing all the techniques and meditation I have learnt from Satjit I will soon create something amazing in my life. I would highly recommend Trimatrix with Satjit if you want to change your life and live fully in abundance. Satjit is an angel pretending to be a human being - a wonderful, joyful, filled with love and respect to people with great will and desire to help people. After a session I feel like a newborn both fisically and spiritually. It's a great experience I wish to everybody. I have visited Satjit for the first time in the spring of 2011. At that time I felt enormous burden on my shoulders. After the healing session, I felt like flying! I remember that after thanking him for his help, Satjit simply smiled and said "No need to thank me, this is your energy". One of the things that characterizes his work is that he always tries to make the person stronger and better. I consider Satjit a blessing in my life! I know you since the Autumn of 2009 when I was struggling a lot physically and emotionally. I didn’t met you by coincidence and your healing energy was very important for me on that moment back then. It was a boost to keep looking within myself – improving and doing my best to be connected with myself and the Spirit. It’s been always a great experience to be in touch with you and not just using you energy, but also talking on different topics. Your knowledge is great and I always get benefits from it. It’s great that I had many chance to learn by you in the situations we had, so by this I want to tell you Big Thanks for having you in my life. And even we are not in communication so often I still feel the Light between and always looking for new challenges and experiences – there where we are Light and Connected. Satjit is a very positive and spiritual yet very down-to-earth person. In the very moment you meet him you are attracted to him and want to communicate and share more time together. He guides himself and others spiritually with very easy and logical explanations. You can also book individual sessions which are held in person or over Skype. Are you trying to find your true life mission? Why are you in the situation that you are in? Understand yourelf like never before. Find out more by clicking here. Reflexo Balancing Technique balances the body, heals the mind and awakens the spirit. It combines the physical touch on the feet with energy balancing methods to trigger self healing at all levels in an individual. The physical self attunement involves directing the pure energy of Universal consciousness to bring positive change. When the mind and bio-energy is attuned, the physical self naturally finds a balance required to start the process of self-healing. It is a well know fact that the mind is capable of creating many physical issues. A 2 day retreat in beautiful setting in the foothills of Rila Mountain in Bulgaria and also in Rhodes, Greece. Retreats are held from March until October each year. Find out more details by clicking here. Trimatrix Yoga™ is not your traditional yoga method. It is different, it is unique and it is amazing. Untangle your mind, stretch your consciuousness, rejuvinate your body. Find out about this amazing methodology developed by Satjit. You can do it anywhere, everywhere. Find out more by clicking here. Every month, a group guided meditation session is held to benefit all. It is non-denominational with the prime aim to bring peace, balance, joy and love around each of us and everything that exists in this Universe. Interested - Click here to find the schedule for the upcoming meditation. Come and join monthly healing session online. Distance is not the barrier. The pure energy of the Supereme Consiousness is directed to help anyone who is in need. The only thing that is needed is purity of heart and belief if the goodness that exists in all of us. It is non-denomination and free of cost. If you are interested to receive this session, please send a message by clicking here. To see the schedule for upcoming free healing sessions, please click here. Do you want one to one Inner-Life Balance© Coaching or Physical Attunement Session but cannot be physically present? Please send a request by clicking here to connect via Skype. 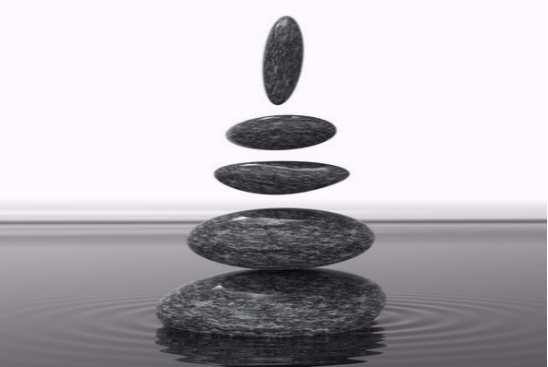 Do you want one to one Inner-Life Balance© Coaching or Physical Attunement Session in person? Please write to find out availabilty by clicking here. Inner voice when guided by pure consciousness speaks to the heart. It is the voice that brings forward thoughts as words that orginate from the connection with eternal wisdom that resides in what is called as eternal consciousness. Satjit shares his inner voice as his experience. To agree with it or not is a choice as we all have a free will. So please be part of this experience in your positivity as it comes from a pure state of being. Each week a new message will be added so do bookmark this page. You can help others in need of direction by requesting a group session in your area.